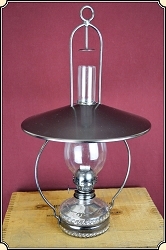 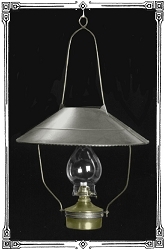 This large hurricane lantern is ideal where you need a sturdy lamp that can puts out a lot of light ~ 15 in. 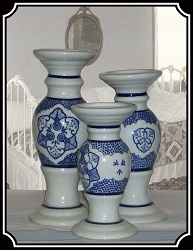 tall and comes in blue enamel. 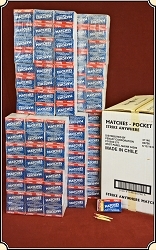 New stock should ship in 5 business days. 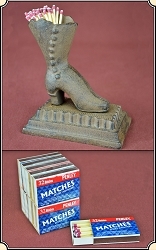 Get the feel of an Old Frontier kitchen, or Old West Saloon with these Strike anywhere matches and Ladies Boot Striker. 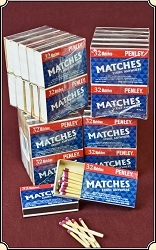 Always be prepared for Fire starting or smoking with a box of Vest Pocket Matches by Penley. 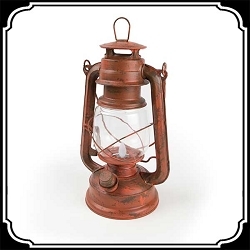 Antiqued Red Lantern has the look of a lamp that has been around and well used for quite a while. 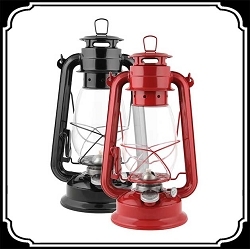 Classic styling, and kerosene burning, add the charm of the Old West to any room, or take it camping for the right lighting. 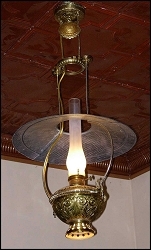 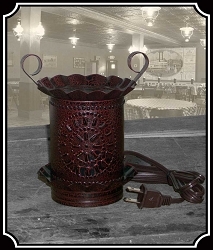 These saloon lamps look great hanging over your poker table or old-time establishment. 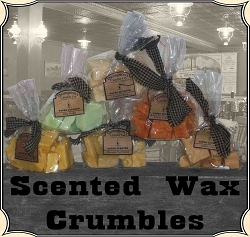 Artisan-crafted in the USA since 1997, Thompson's Candle Co. Crumbles are ideal for your warmers. 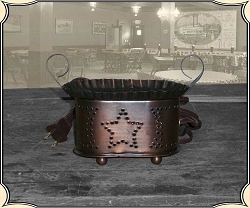 Made in aged Copper and measuring 4½" wide, 3" deep, 4" tall. 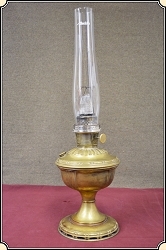 Our electric wax warmers come with a light bulb to melt your scented wax. 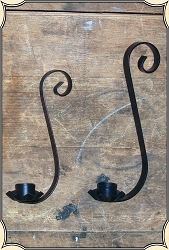 Aged Copper finish and measuring 4½" wide, 3" deep, 4" tall. 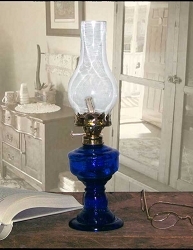 Our electric wax warmers come with a light bulb to melt your scented wax.